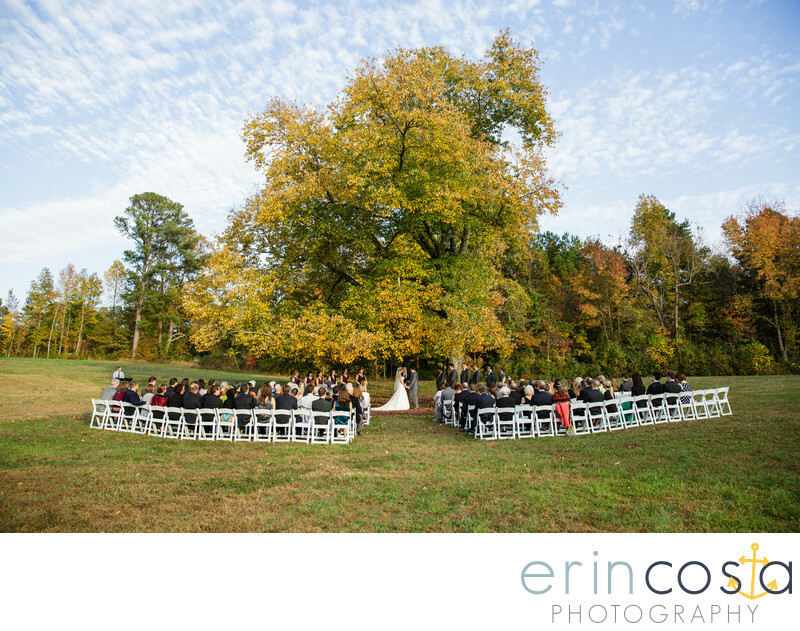 A stunning outdoor wedding under an oak tree in Apex, NC. Photographed by Wilmington wedding photographer Erin Costa Photography. Location: The Oaks at Salem.